It was dishonest of me to criticise the efforts of others who are attempting to explain what we, in PR, do without at least making the contribution to their thinking. Public Relations is the discipline that optimises relationships between managed entities and citizens. It encompasses a range of primary disciplines of cultural, social, behavioural, communication and ethical interactions. From roles as diverse as the better governance of nations to social events management, the scope of practice is huge. It has, as its foundation, intellectual and practical capabilities taken to professional perfection that may range from the managed use of social media to the perfectly timed, delicately honed and inspiring speech of the statesman but always executed to develop excellence in its primary disciplines. Public relations is an important part of human culture. Public Relations is among the great professions. It is not spin, it is not propaganda and it is not publicity. As I shall explain, it cannot be. The late 20th century definitions (notably evident in Wikipedia) are as dated and unreliable (and as costly) as the invention of Cold Fusion. Equally, as we shall discover it is also not some form of fluffy, goody, all-things-to-all-men activity. It is hard and uncompromising as a discipline, profession and practice. 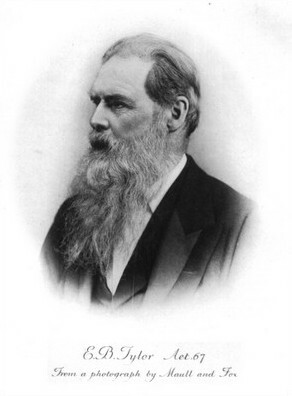 In defining public relations I am attracted to Sir Edward Burnett Tylor, the 19th Century anthropologist. His words, slightly modified, head this blog. He is considered by many to be a founding figure of the science of social anthropology, and his scholarly works are seen as important and lasting contributions. "Culture or civilization, taken in its wide ethnographic sense, is that complex whole which includes knowledge, belief, art, morals, law, custom, and any other capabilities and habits acquired by man as a member of society." We are well aware of the ideas of culture in politics, religion, economics and much more and Smircich suggests that that 'culture is something an organization has', rather than 'something an organization is'. I argue that it is the nature of the organisation's relationships that offer its cultural credentials, a Public Relations responsibility. Here we also have a sense of a person or citizen as being essential to the idea of culture and organisational culture. In Public Relations we seek the elements of a public or citizen collectively and, with the advent of Big Data management, ever more evolving towards the individual having relationships with organisations. Organisations are slippery things. Is a group of people spontaneously dancing or rioting in a street 'an organisation'? At what point do they coalesce into an organisation? There is, never-the-less an element of organisation which we all recognise. Organisations are all 'managed' to a greater or lesser degree. Public Relations acts for organisations in a management role and, as in the case of the street paryy or riot, as a very early stage in its nascent development. Organisations need PR before most other disciplines. In 2006, I defined the nature of relationships and a definition of organisations as the nexus of relationships. It concerned the significance of shared values being the nature of relationships. Values are held and, significantly, are expressed in semiotics (artefact) and language. Hodder's view is of artefacts not as objectifications of culture but as culture itself. It is, he proposed 'a fluid semiotic version (sign) of the traditional culture concept in which material items, artefacts, are full participants in the creation, deployment, alteration, and fading away of symbolic complexes'. The work of the practitioner in the form of outputs is, thereby of the organisations culture in its own right. Long before the advent of the internet and social media, there was a framework to aid our modern understanding of society. What we write in a blog or press release, Hodder suggests, is the culture of as well as being a manifestation of a corporate culture. The practice of Public Relations is cultural. Of course, artefacts (ancient shard or Pinterest image are artefacts too) are a manifestation of human behaviour. As an animal, humans have behaviours that are common to the genre. There are compelling drivers such as the need to sustain the species. Humans evaluate the acceptability of behavior using social norms and regulate behavior by means of social control. The behaviours of organisations including the manifestation of the intellectual properties associated with objects such as product, service, activity, and management offer signs. The offering of signs is a behaviour explicating culture. The act of presenting an organisation, its objects and its social norms, its behaviour, is a Public Relations activity. This introduces the elements of objects, writing and means of expression as wide as Twitter and ancient tablets. Communication, from the tablet with beer allocations – a good 5,000 years old, the development of alphabets, Gutenberg press and the introduction of the World Wide Web, the fourth communication revolution, offer the expert practitioner the tools by which an organisation can express its behaviours. In PR, there is a wealth (over abundance?) of literature concerning the use and application of communication in PR practice. I need not take it further here. The connection between culture and language has been noted as far back as the classical period. The ancient Greeks, for example, distinguished between civilized peoples and bárbaros "those who babble", i.e. those who speak unintelligible languages. Much is made of the fundamental rules that govern the act of agentry. The office, duties or activities of an agent is to be authorised to enact or exert power to produce an effect. Like many other roles, agentry is important in public relations but is different to many other areas of management. In, for example, marketing, there is an impulsion to maximise effect. In banking it may be to maximise profit. In Public Relations there is a different role. It is to optimise effect. In maximisation there is a compulsion to achieve at any cost and for many roles such impulsion is critical. For survival and to create environments in which roles can focus on maximisation, there is a need to optimise effect. To make optimal and get the most out of any situation also gives hope and succour for the future. Thus, public relations is empowered to create an environment in which a marketer might maximise sales, and employee might enhance productivity or a finance director might increase shareholder value or yield. Optimisation is, of its nature more complex that maximisation. For example, to find the way to drive the car so as to minimize its fuel consumption, given that it must complete a given course in a time not exceeding some amount (optimise fuel consumption), is much more complicated that driving as fast as possible to reach a destination. Public Relations is complicated. Optimisation of relationships in cultural, behavioural, communication and social interaction brings with it a need to understand cultural rules. The rules which are known to us in the form of ethics. Ethical interaction is not as easy as many would make out. Is the practitioner the moral agent and driving force for ethical behaviour? Does Public Relations set out to make people happy? If so whom? Is it possible to be so wise as to bring virtue and thereby happines to all citizens as Aristotle might wish? Is an approach to ethics that which determines goodness or rightness from examining acts, or intentions in adherence to rules? Is keeping to the rules ethical as Kant would have it? Is the moral worth of an action determined only by its resulting outcome or by its delivery of the greatest good for the largest number as Jeremy Benthham proposed? Ethics is not easy but is something which is at the core of Public Relations. Aristotle would be amazed to know that mankind keeps confirming his view. gestures, facial expressions, intonations, etc. Interaction is a critical part of optimising relationships. Corporate interaction is a manifestation of Public Relations. Public Relations is not a nice and simple end career for worn out journalists or politician chucked out at the last election. It is not the career answer for a degree in communications studies or philosophy. It even goes beyond the latest forms communication. It is all of those careers and studies and is then much more complex. Public Relations practice is the act of an agent authorised to enact or exert power to produce a Public Relations effect. These are the compelling ideas behind my definition and which is why "Public Relations is among the great professions". Smircich, L. 1983. 'Concepts of culture and organizational analysis' Administrative Science Quarterly 28 (3): 339-58. G. Rizzolatti and L. Craighero, “The mirror-neuron system,”Annual Reviews of Neuroscience, vol. 27, pp. 169–192, 2004. M. Iacoboni, Mirroring People: The Science of Empathy and How We Connect with Others. Picador, 2009. A good contribution to discussion, David -- it's interesting that any attempt to define public relations seems to have to involve several pages of further explanation of the definition! I'm not sure about 'public Relations is the discipline that optimises relationships between managed entities and citizens' -- is an individual seen as a managed entity, and who judges what is optimal -- the managed entity, citizens or both? Perhaps it would be an idea to examine some of the ideas that are working with the use of semantics. Latent Semantic Indexing is providing us with an opportunity to weight semantic concepts in such a way that they can reflect personal perspectives across a range of measures. For example, does a corpus (including semiotic representations such as picture, Tweet, blog post etc etc) reflect the organisation's view of importance, tone, relevance or any other variable you choose by degree. Is such a judgement the same for the MD, CFO, CMO etc? The answer is unlikely. With such ideas and tools to support them now available, the idea of an organisation is changed. Is the 'managed entity' anything more than a nexus of commonly held semantic values. Your idea that the managed entity and the citizen are interchangeable is almost a given. Who judges what is optimal in my semantic experiments is no longer an issue. Anyone can be the judge and set his own rules. I don't need to add reams of justification but I also need to be able to debate this proposal with a fair chance of winning.